The Cat Ball - a handmade hexagonal bed with two openings - has been featured in magazines and on Oprah's website. BELLEVUE, WASH. — When we say you might not be able to resist a Cat Ball, we’re not kitten around. 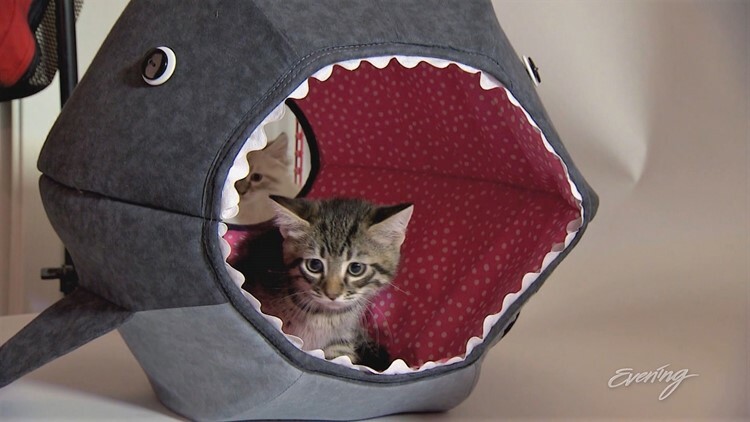 The Bellevue-based company makes unique hexagonal cat beds in stylish and whimsical designs including a shark, a spider, a strawberry and a watermelon. Don't need a ball? How about a canoe? "Seems like a lot of cat people have a strong sense of humor and a sense of playfulness,” said Jennifer Boaro, founder of The Cat Ball. She’s a former costume designer who came up with the idea while designing a human-size soccer mascot costume. "I decided to do a miniature first, just to test out the pattern-making and the math and the materials, and that ended up becoming my first cat ball,” she said. Her own cats were immediately drawn to the collapsible foam bed in the shape of a ball. "I think that cats tend to feel safe when they're in a small and enclosed space,” she said. 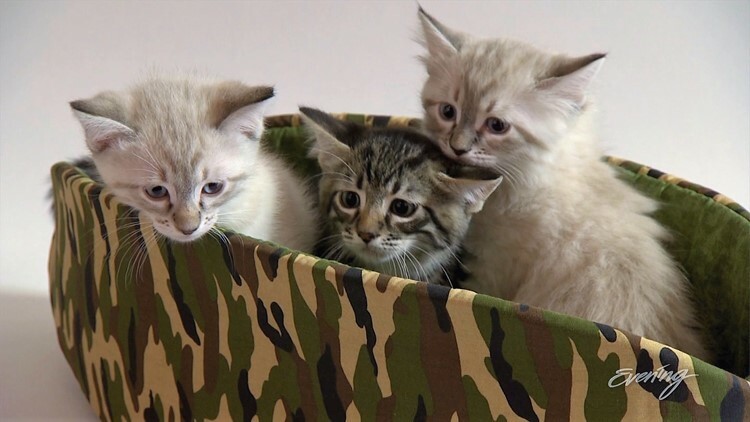 "Cats can't help themselves but to go into things like boxes and bags, and I think that's a lot of the appeal. It's a lot like a box, but with prettier fabric. It's a washable box!" The Cat Ball has been featured everywhere from Modern Cat Magazine to Oprah.com. Boaro also added a "cat canoe" to her brand. But she still works out of the Bellevue home she shares with her husband. "This is a small business, a mom and pop business really, with cat assistants,” Boaro said, laughing. Just in case you fell in L-O-V-E, the kitten supermodels in this story will be ready to adopt from Purrfect Pals in December! 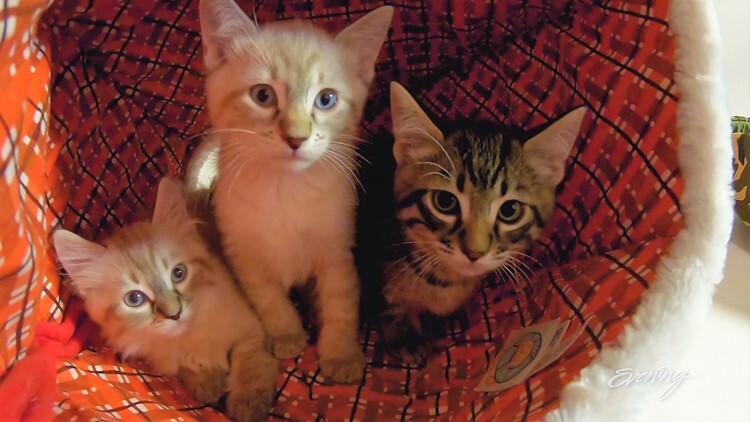 You can watch them grow up with "Foster Dad John" on the 24x7 live stream kitten cam at thecritterroom.com. 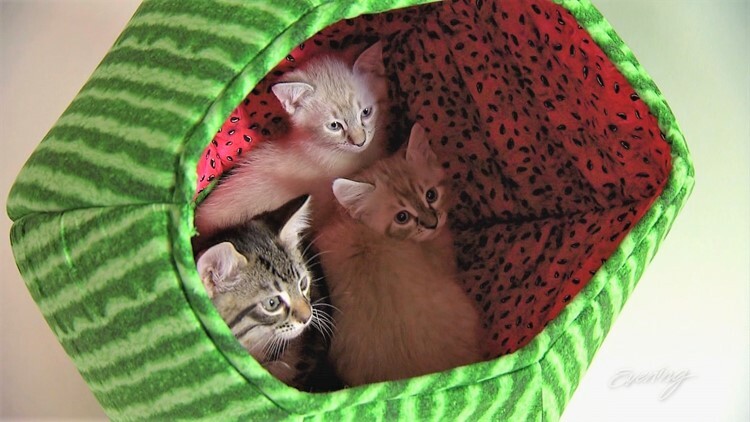 Looks like these kittens are cuddly-cozy in this Cat Ball.